Fail to steal Hook's treasures and you'll walk the plank!! 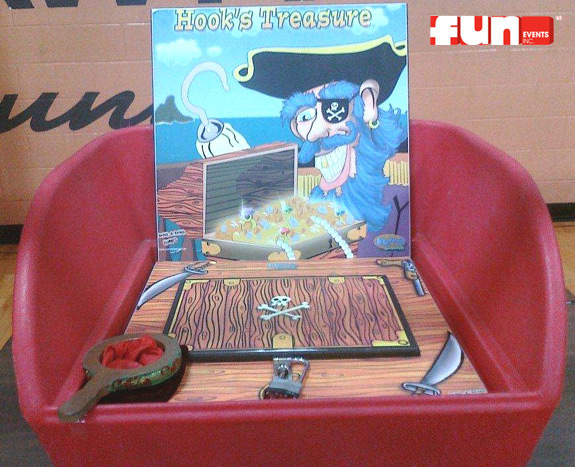 Pick the key that opens the treasure chest and pull out prizes from Hook's treasure. Carnival Game rentals are a fun party idea for any special event, birthday party, church festival, school carnival or fund raiser.